Do participants have a unique perspective on their fields? How might a frank assessment by a peer contrast with an “objective” work of music criticism? 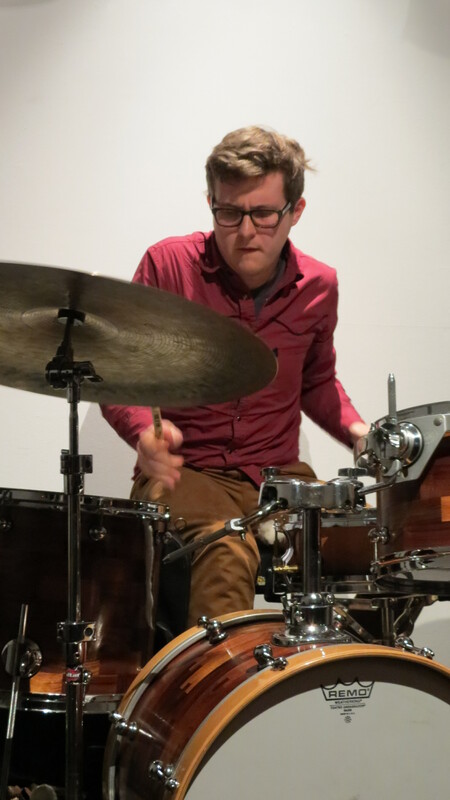 For this review as part of our “experiments in music journalism” series we invited experienced improviser and composer Simon Charles to give his considered opinion on the new concert series curated by James McLean and Callum G’Froerer, Directly or Indirectly. When approached to write this review I expressed an immediate reluctance, due to feeling uncomfortable about assuming the role of ‘reviewer’ and this being somehow different that of fellow artist. There is undoubtedly a benefit in articulating ideas about the motivation behind a work, and evaluating its effectiveness, as this discourse provides a groundwork through which broader stylistic narratives can start to emerge. Hopefully, the greater scrutiny these motivations are placed under can lead to more meaningful and lucid work. However, I can’t help feeling a certain disdain that the role of a reviewer can have such influence shaping broader musical values. I’ve shied away from it, because I would prefer to contribute to the conversation about musical value and emergent stylistic trends through my own musical practice. However, I’ve obviously agreed to write this review, and in doing so I feel that it’s necessary for me to write this short disclaimer; that I know all the performers involved in this performance personally, and that I am giving my critical perspective through the lens of fellow musician, rather than ‘reviewer’ as such. It may seem a little harsh and direct, and it might seem to be lacking in the evocative, although ultimately inconsequential, detail typical of many reviews. Directly or Indirectly is an initiative by James McLean and Callum G’Froerer that will hopefully become a regular forum for the presentation of experimental and improvised music. Their first event was held at Conduit Arts and featured solo improvisations by G’Froerer, McLean, Joe Talia and David Brown. 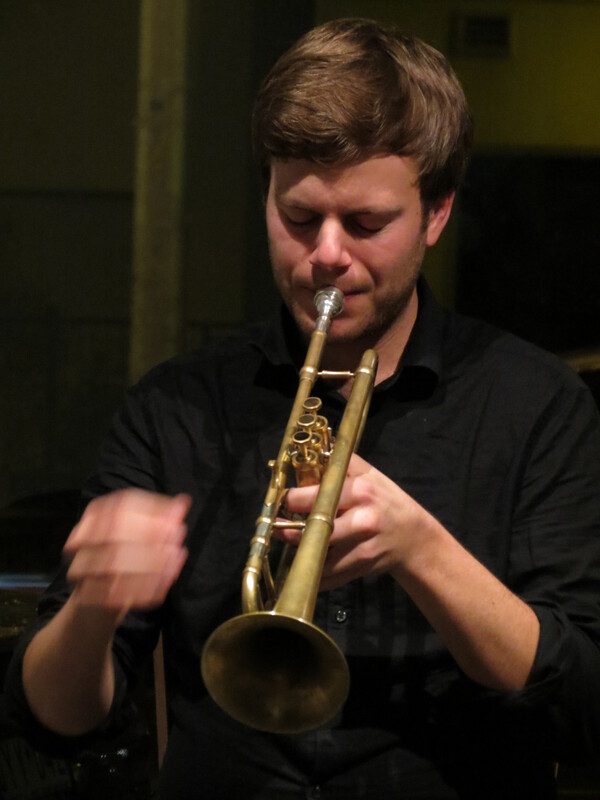 G’Froerer’s set on solo trumpet was characterised by a range of ‘extended’ techniques, revealing the performer’s vast experience in performing contemporary notated compositions. To his credit, G’Froerer managed to move beyond these common techniques, demonstrating an inventiveness and sense of exploration. The piece was successful as a series of episodes, intent on exploring the various sonic possibilities of the trumpet. However, there was room in this investigation to undergo even greater rigor, so that the work could convey a more unified statement. There is an obvious rigor in G’Froerer’s technical mastery of the instrument—he is capable of producing and incredibly beautiful sonorities. However, I craved a musical objective toward which this exploration could be orientated. James McLean’s set for solo drum kit demonstrated absolute technical mastery. He plays with remarkable control over the timbre and resonance of his kit. He is also skilled as an improvisor in letting ideas emerge, controlling the rate at which they morph, and is decisive as to when they should end. Perhaps this is a personal quip, revealing my own frustrations in playing a musical instrument, however I felt that both G’Froerer’s and McLean’s improvisations revealed a preoccupation with the instrument, that comes at the expense of an artistic agenda to which both performer and audience can equally relate. McLean’s solo set did demonstrate a keen awareness of structure and development, however there was a stage in the performance at which he seemed to return to material that was similar to ideas that had already been explored. As he returned to this material, it was possible to engage with the work on the level of its technical proficiency, however I craved a more adventurous sentiment to unite the work as a musical whole. Joe Talia’s set was marked by an incredible attention to subtle glitches and clicks that were framed in such a way so as to draw the ear toward these essential parts of the work. There were moments when the work momentarily lost focus, however Talia was always able to steer the work back into interesting territory, displaying a remarkable talent for a kind of deep ‘retrospective’ listening—being able to successfully contextualise preceding ideas. His vocabulary or pallet of sounds was varied enough to provide contingencies that enabled work to move in different directions, whilst complimenting an overall ‘sound-world’ that unified the work. Dave Brown’s set for solo guitar conveyed the performer’s unique and idiosyncratic ‘voice’ that reflects not only a personal understanding of musical style, but a perspective on some of the typifying stylistic traits of Australia’s underground, experimental scene. This voice never lost focus, which seemed to be the overall point toward which the performance was directed. Many of the ideas presented in Brown’s performance were interesting because they drew attention toward imperfections in sound (such as feedback, buzzing from the amplifiers, etc.) thus revealing the performer’s sensitivity to their immediacy and tactility. Rather than ideas being filtered through a preoccupation with a traditional conception of technique, Brown’s performance seemed more concerned with structure—that the work may ‘resonate‘ musically through a narrative of distinct and multi-layered passages. The overall event demonstrated the unique and immense challenge of performing a lengthy solo improvised work. On reflection, it is entirely different to a context involving other players, as it lacks a sense of dialogue or conversation and there is no opportunity for the individual to ‘step out’ and re-enter the piece. It is a challenging format for both performers and audience. However it was clear that this was in no way underestimated, and that Directly or Indirectly, as an organisation, are committed to meaningful and challenging musical ventures.